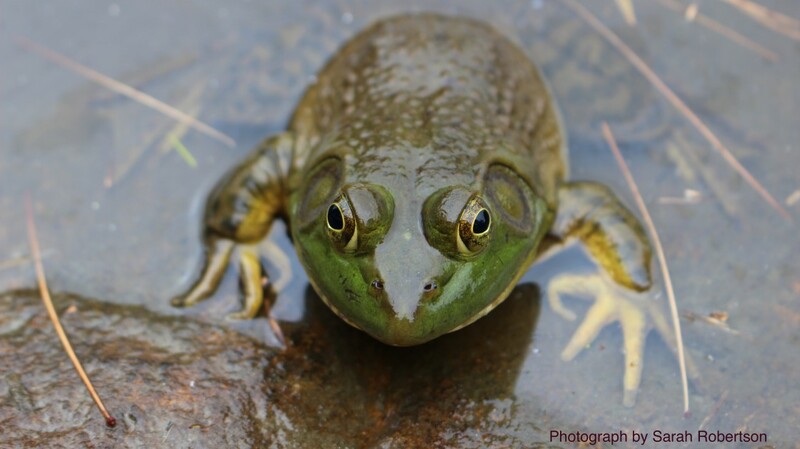 ← Energy Production Gone Wrong… Surprised? Ever since electricity was discovered, people have been working hard to find efficient ways to store energy. Today, there are many technological approaches to manage power supply to create a more resilient energy infrastructure including solid state batteries, flow batteries, flywheels, compressed air energy storage, thermal and pumped hydro-power. Still, many scientists are looking for more efficient ways to store energy. Hoping to find safe, sustainable and cost-effective energy storage systems, Professor Jay Whitacre, the founder of Aquino Energy, found a solution based on an ancient technology: saltwater batteries. After years of hard work, Aquino Energy developed a unique technology named Aqueous Hybrid Ion (AHI) Chemistry. 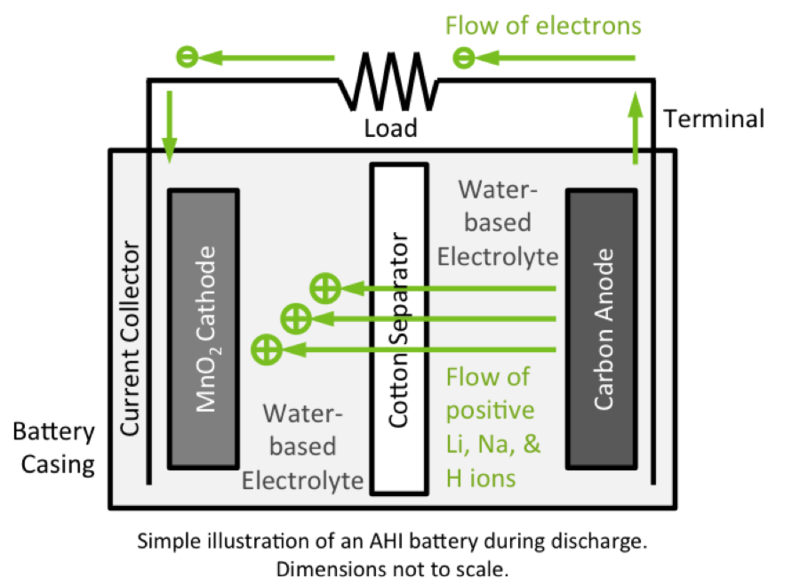 Figure 1 illustrates the discharge process of an AHI battery. This figure also clearly represents the inner parts of an AHI battery. 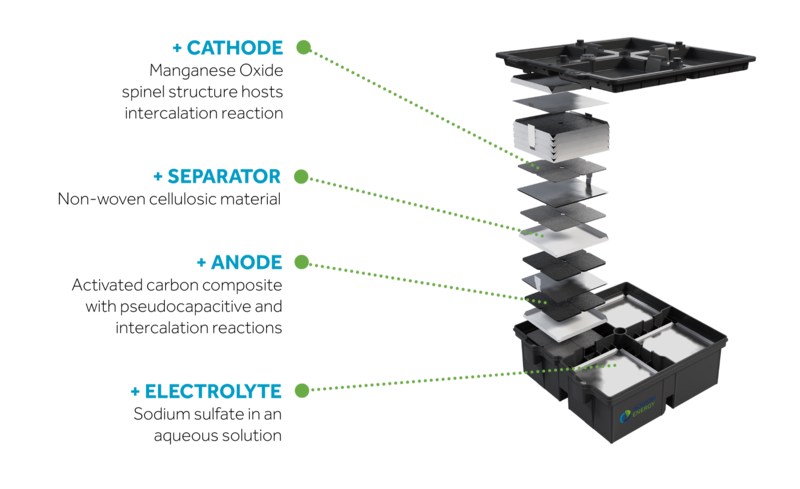 What differentiates AHI batteries from others is their aqueous electrolyte made up by Sodium Sulfate solution, which enables the functional ions, including sodium, lithium, and hydrogen ions, to flow better. The battery’s anode (negative electrode) is made up with carbon, which has a high surface when activated. Therefore, the ions will attach to the surface of carbon while battery is charged and make the surface negatively charged. 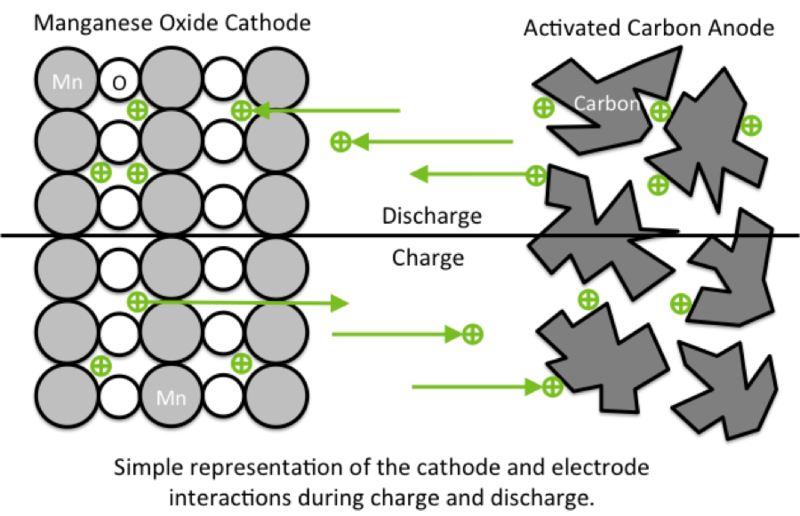 The cathode (positive electrode) is made up with Manganese Oxide, which allows “intercalation” reaction happen during discharge. This reaction is less corrosive and more enduring compared to electrode surface reactions that are commonly seen in other batteries. Figure 2 provides a more detailed diagram of the interaction between the two electrodes. There is also a cotton separator, which separates the electrodes in order to prevent a short circuit. Figure 3 is a diagram with internal features of an AHI battery unit. Each unit holds multiple sets of electrodes that are connected electronically in parallel. All these features make AHI batteries have excellent performance. 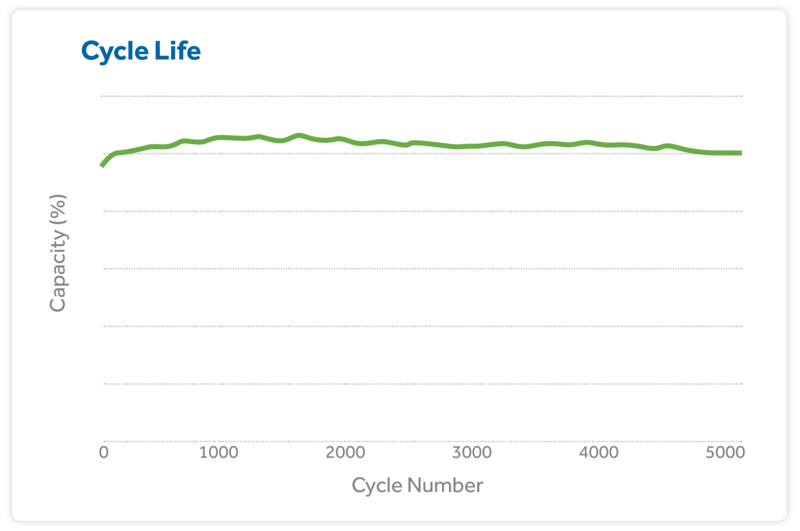 Figure 4 is a graph of AHI batteries’ cycle life. With this unique technology, Aquino Energy developed products including S-Line Battery Stacks, M-Line Battery Modules and Bulk Energy Storage, which can be applied in different places. When I think of batteries, it is inevitable to think about most batteries’ short durations and the damages that they could cause to the environment. It is amazing to see that today’s scientist always consider environment when they make new inventions. I believe more environment-friendly techniques for energy storage will be discovered in the future.